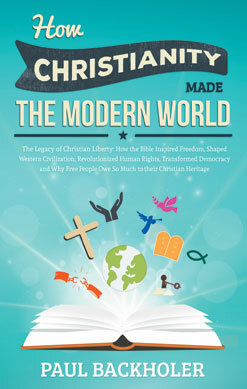 Christianity is the greatest reforming force that the world has ever known. Find out more here. ByFaith - World Mission is a cutting edge and compelling reality TV documentary that shows the real experience of a backpacking style Christian mission in Asia, Europe and North Africa. NTSC/English/No subtitles. Find out more here. Emotionally uplifting and spiritually encouraging, Great Christian Revivals is a 70 minute moving story on DVD, that features the accounts of the Welsh Revival, the Evangelical Revival and the Hebridean Revival. Filmed on location. PAL/English/No subtitles. Find out more here. 150 Years of Revival – days of heaven on earth, documents twelve revivals from ten countries on five continents, by Mathew Backholer. Revival and the Great Commission, Thirty-six Revivals from the Mission Field. Revival and the Great Commission documents thirty-six revivals from twenty-nine countries from six continents, spanning the years 1727-2007, from Argentina to Australia, Estonia to Eritrea and Jamaica to Japan, by Mathew Backholer. Many people will spend hundreds, if not thousands to go on a short-term mission, yet still go unprepared. Now there is no excuse! 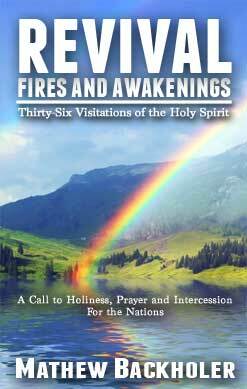 Thirty Moves of the Holy Spirit, A Call to Holiness, Prayer and Intercession for Revival. This book features 30 accounts of revivals and awakenings in nineteen countries from six continents. The background music used in ByFaith TV is not available.